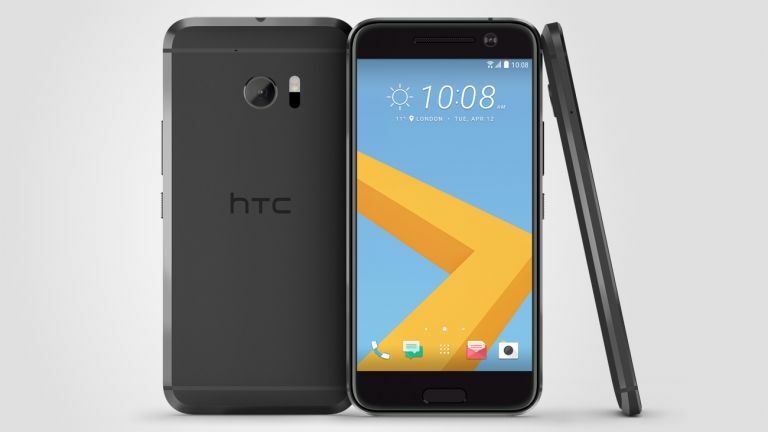 On the surface, the new HTC 10 is simply just another good smartphone from HTC, there nothing innovate or exciting about it, but that doesn't mean it isn't a great smartphone, so here are ten HTC 10 features we think deserve your attention. The HTC One M7 was a well-designed phone, and HTC has attempted to evolve those aesthetics in every previous iteration. The 10 may be the best looking HTC phone yet, with bold contours and chamfered edges which play with the light. HTC has had a checkered past with smartphone cameras. They haven't all been great. Remember Ultrapixels? They're larger than normal pixels and capable of capturing more light (which is better for taking pictures in the dark). The HTC 10 has 12 million Ultrapixels in the rear camera, so it should be a good'un, but time will tell. As well as a 12 Ultrapixel sensor, the rear camera also has laser autofocus, a large f/1.8 aperture, and optical image stabilisation. HTC took this camera to get benchmarked by DxO. They gave it a rating of 88, which is joint top with the Samsung Galaxy S7. And we LOVE the S7 camera. HTC smartphones have alway been class-leading when it comes to audio, and the 10 looks to carry on that tradition. The new smartphone features a headphone amp which is two times more powerful than a conventional headphone amp, delivers ten times lower distortion, and converts 16-bit to 24-bit audio. In other words, your music should sound great. There's also Boomsound audio, but the sleeker design means we've lost the two front-facing speakers. Instead, the tweeter is front-facing, but the bass comes from the speaker along the bottom edge. Finally, HTC has introduced a new feature called Personal Audio Profile. Everyone hears things differently (older ears can't hear high frequencies, for example). So the HTC 10 allows you to tune an audio profile to your individual hearing. Pretty smart, but we'll have to see if it works in practise. HTC has taken the best of Google and the best of Sense UI to create the best version of Android we've ever seen. There are no duplicate apps and no bloatware. It's very streamlinedand close to stock, but with key improvements (such as the ability to organise the app drawer). The HTC 10 makes use of a 5.2-inch Quad HD Super LCD 5 display. It claims this is 30-percent more colourful and 50-percent more responsive than its predecessor. Home screens are usually quite boring affairs with app icons and widgets, but HTC's new Freestyle Layout makes things really interesting. There is no on-screen grid, instead you can drag icons, stickers and widgets anywhere you like. You can get rid of icons altogether, and link stickers to apps and actions. HTC thinks the front-facing camera is just as important as the rear-facing camera. The camera, which they're calling the “UltraSelfie camera” features 5MP, optical image stabilisation, and a f/1.8 aperture. ...which brings us nicely onto our next point - a massive two day battery life! That's impressive, if true, we'll let you know how we get on in a full review. The battery size is 3,000mAh. Dot View (the case which let you interact with your phone through 16-bit styled dots is dead, long live Ice View. Which is similar to Dot View, you can interact with the case closed, but you now have a slightly gaussian blur over everything. Interesting you can also launch the camera in this view. HTC releases the HTC 10 Evo, a 5.5-inch big brother to the... One M9? Is the HTC 10 enough to run with the big dogs? We think it is.